Comic Bubble Brushes and Text Brushes Pack - Free Photoshop Brushes at Brusheezy! Boom! With this new Comic Bubble Brushes and Text Brushes Pack you'll receive 26 different comic brushes, speech bubble brushes, comic texts and phrases, and more. 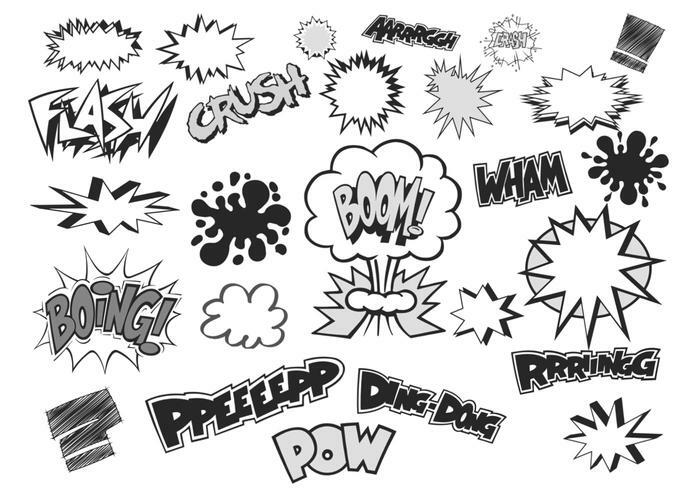 You'll love the explosions and other comic text brushes in this pack. Rather have the vector pack? Download the <a href="http://www.vecteezy.com/signs-symbols/59973-comic-bubble-vector-and-text-vector-pack/premium">Comic Bubble and Text Vectors</a> over on Vecteezy!